When you think about the kids playing out in the backyard, does it bring you peace of mind or worry? Hopefully you feel comfortable allowing your children to play unsupervised in the yard – but if you don’t, the most important question is why. If it is simply because there are some potential hazards throughout the space, why not come up with a solution? Injuries related to playgrounds and play equipment are not necessarily the first thing that comes to mind when we worry about our kids getting hurt, but they are more common than one might guess. Thankfully, there are a few easy steps that you can take to ensure that your children’s play equipment is as safe as possible! One of the first things you should do if you plan to let your children roam the backyard unsupervised is to create a safe space just for them. This area should be free of large rocks and tree stumps, as well as any lawn equipment and stray tools. Removing tripping hazards and dangerous items is a big step toward keeping your children safe during playtime. From trampolines to swingsets, one of the biggest causes of injury when children are at play is improper assembly or installation. 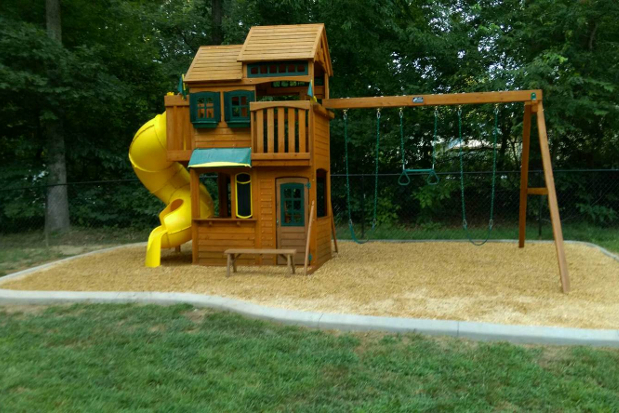 Whether it’s an exposed hook or bolt, or just poor leveling and anchoring, mistakes made during the construction of a piece of play equipment can come back to haunt you when the kids are enjoying themselves. If you have concerns about making sure that your play pieces are properly assembled and installed – especially for larger and more complex pieces of equipment – consider hiring a professional to do the job for you. Your children are going to fall – it’s just a fact of life. From stumbling or tripping, to flying off the swingset, to tumbling down the slide, it’s just the nature of childhood that your kids are going to end up on the ground at some point. So the question is, what can you do to prevent serious injury? In this case, the answer is… make the ground softer! Installing a shock-absorbing surface in your kids’ play space can go a long way toward preventing any major accidents. For smaller playgrounds, sand and pea gravel are some common go-to choices. Mulch and wood chips are a cost-effective option – they still aren’t comfortable to land on, but they are more forgiving than rock, compacted dirt, or concrete/asphalt. 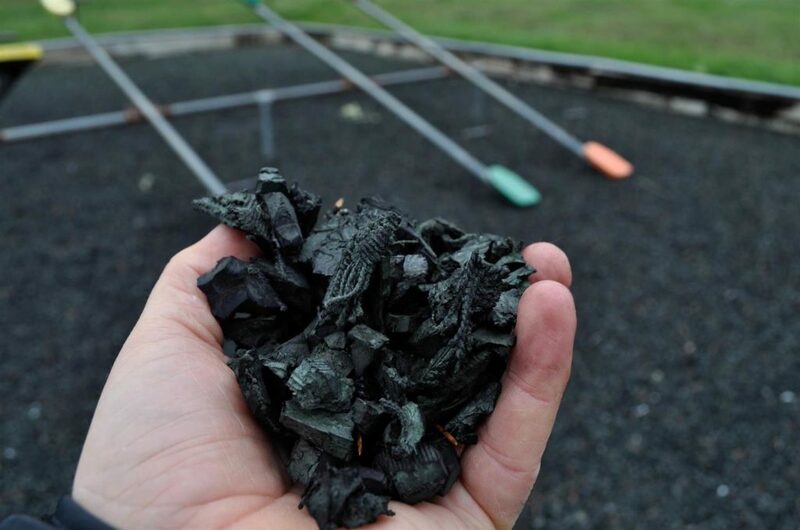 Synthetic options, such as rubber mulch, are a little more comfortable and don’t decompose over time – so while it can be a bit more expensive up front, you won’t have to replenish this base layer every year. This entry was posted on Monday, July 24th, 2017	at 10:32 am	. Both comments and pings are currently closed.